FOUNTAIN VALLEY, Calif.--(BUSINESS WIRE)--HyperX®, a division of Kingston® Technology Company, Inc., and a sponsor of top gaming organizations worldwide, today announced Boston Celtics basketball player Jonas Jerebko and his eSports organization, Detroit Renegades, will join the elite team of HyperX gamers. 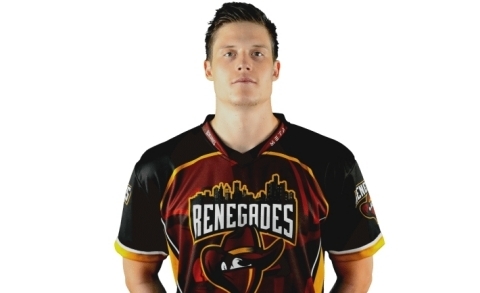 Jerebko’s recent purchase of the Renegades was fueled by his passion for gaming and desire to continue building credibility for the sport. The Renegades’ sponsorship fosters HyperX’s commitment to developing a professional and supportive gaming community for all teams and players. HyperX has been supporting the eSports community for over 10 years, and the Detroit Renegades will use HyperX gaming headsets and keyboards to enhance gameplay during tournaments and practice. HyperX develops products designed to meet the needs of all gamers, including the new HyperX ALLOY™ FPS keyboard, a compact yet full-size mechanical gaming keyboard with a space saving layout for FPS mouse movement, ideal for FPS classics like CS:GO and Overwatch. Additionally, HyperX recently expanded its popular gaming headset lineup with the comfortable and affordable HyperX Cloud Stinger™ – the best gaming headset for under $50 USD. HyperX sponsors over 30 eSports teams, as well as gamers Gordon Hayward, Utah Jazz forward, Rick Fox, former LA Laker, and his eSports team Echo Fox. HyperX partners compete in tournaments worldwide and engage with other gamers to help HyperX develop hardware for every type of gamer – PC, console or mobile. The gaming community’s needs are constantly evolving, and HyperX continues expanding its active role in the gaming space, bridging eSports and traditional sports to support gamers globally. HyperX is the high-performance product division of Kingston Technology encompassing high-speed DDR4 and DDR3 memory, SSDs, USB Flash drives, headsets and mouse pads. Targeted at gamers, overclockers and enthusiasts, HyperX is known throughout the world for quality, performance and innovation. HyperX is committed to eSports as it sponsors over 30 teams globally and is the main sponsor of Intel Extreme Masters. HyperX can be found at many shows including Brasil Game Show, China Joy, DreamHack, ESL One and PAX. For more information visit the HyperX home page. HyperX is a division of Kingston Technology Company, Inc., the world’s largest independent memory manufacturer. Established in 2002, HyperX is headquartered in Fountain Valley, California, USA. For more information, please call 800-337-8410 or visit www.hyperxgaming.com.